Following a three-year incubation period, Glass Candy/Italians Do It Better musical mastermind Johnny Jewel has just unveiled his 37-track opus, Symmetry - Themes for an Imaginary Film. A press release for the set, which is now out on iTunes, explains that the project features a number of collaborators from the Italians Do It Better family (Chromatics, Desire, Mirage) and was started as far back as 2008, with some of the oldest tracks dating back to when Jewel was working on fellow disco minimalist Farah's Into Eternity LP. 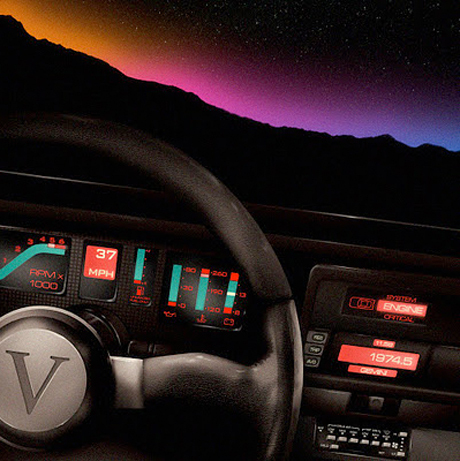 The two-hour piece apparently thrives on an ambient drive, retro synth work and steady hi-hat rhythms, and the sheet goes on to explain that "the album's pulse thrives on the empty pockets of space left in the wake of throbbing bass and the faint flicker of electro candlelight." Though in the past he's pulled from Italo disco, Jewel's latest album is described as embracing "the elegance of European noir cut with a lean and violent American razor," and is said to take cues from John Cage, Glenn Branca, Maurice Ravel, John Carpenter and more. You can check out a stream of the full album down below, where you'll also find the tracklisting. A double-CD version and triple LP will arrive sometime in the new year. 10. "A Sort Of Homecoming"
30. "An Eye For An Eye"
31. "The Point Of No Return"
34. "Memories Are Forever Part 1"
35. "Memories Are Forever Part 2"
36. "Echoes Of The Mind"